Designed by WGR Sprague, the Lyceum Theatre originally opened in 1897. 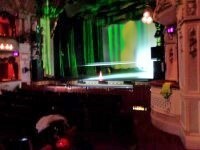 A traditional proscenium arch theatre, this 1068-seat listed building is Sprague's only surviving design outside London. Following its closure in 1968, the Lyceum underwent a £12 million renovation and reopened in 1991. The Lyceum is the main receiving venue for touring productions in the Sheffield Theatres complex. 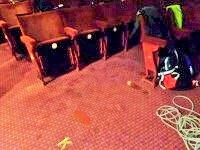 It comprises of a diverse programme comprising opera, ballet, contemporary dance and West End hits as well as our own productions The Lyceum theatre has three bars and provides light snacks. 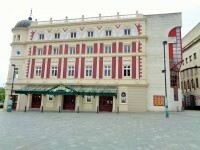 The box office is located within the Crucible Theatre to the left of the Lyceum Theatre. The nearest National Rail station is Sheffield. There is not a tram stop within 150m (164yds) of the venue. You are on Opening Times (Box Office). Skip to the next section. The name of the car park is NCP Arundal Gate. 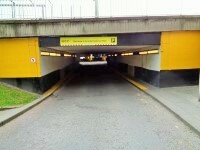 The car park is located off Norfolk Street. 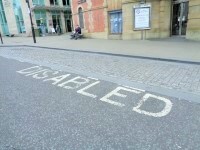 On street marked Blue Badge bays are available. On street Blue Badge parking is located off Norfolk Street. Sheffield Theatres work in partnership with Q-Park, to provide safe and secure parking in Q-Park’s Charles Street car park, located off Charles Street. If you are using a Sat Nav please use the postcode S1 2NJ. Audience members are entitled to a discount off parking for both evening and matinee performances. The car park is over 400m from the theartre. 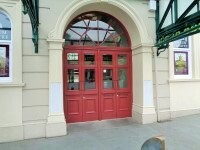 The main door(s) open towards you (pull). 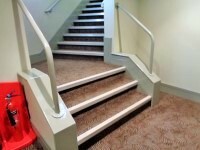 The ramp or slope is located leading to the entrance. The desk is 4m (4yd 1ft) from the main entrance. 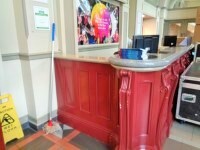 The reception desk is high (110cm+). The desk does not have a low (76cm or lower) section. The lift is located to the right as you enter. The lift is 21m (22yd 2ft) from the main entrance. 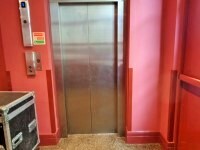 The dimensions of the lift are 100cm x 170cm (3ft 3in x 5ft 7in). Companions sit along side the patron. 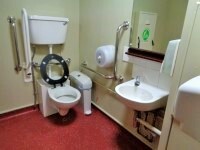 It is 16m (17yd 1ft) from the designated seating area to the nearest accessible toilet. The rows suitable for hearing loops are A to Q. To borrow a wheelchair,contact the box office. The designated seating is located in the stalls in rows F-G-H-J and K seating 1 to 6 where seats can be removed to accommodate wheelchairs. The view from the designated seating area is very good. 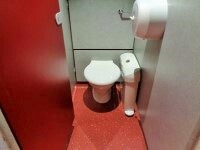 The accessible toilet is 26m (28yd 1ft) from the main entrance. 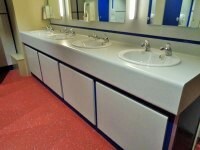 The dimensions of the accessible toilet are 210cm x 215cm (6ft 11in x 7ft 1in). 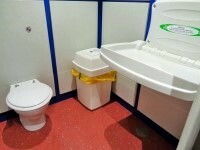 The height of the baby change table once extended is 79cm (2ft 7in). The female and male toilets are located to the left as you enter. 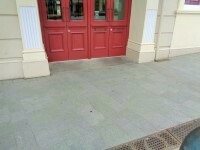 The female and male toilets are 19m (20yd 2ft) from the main entrance. Inside the venue, there is not level access to the female and male toilets. Baby change facilities are located within the female standard toilet. 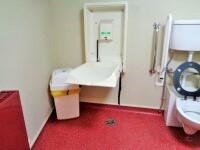 The height of the baby change table once extended is 85cm (2ft 9in). There is an identical baby change facility wthin the male standard toilet. You are on Level Change (Standard Toilet). Skip to the next section. 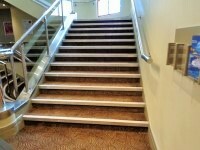 The step(s) is / are located to the right as you enter.